Profil is the world’s leading diabetes and obesity CRO. Founded in 1999, Profil has grown to become a unique full-service CRO with an excellent record for professional conduct and scientific expertise in clinical research on diabetes and other metabolic diseases. 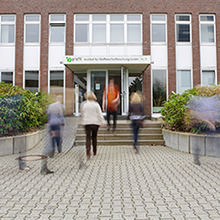 The Profil Institut für Stoffwechselforschung GmbH (in English Profil Institute for Metabolic Research), began life as a spin-off of an academic study group at the Department of Metabolic Diseases and Nutrition at the University of Düsseldorf. Our founders wished to create a dedicated CRO that would address the challenges of diabetes and obesity research and treatment. The company’s achievements are testament to that vision. Over the years, we have implemented numerous sophisticated methods for pharmacodynamic characterization of the effects of compounds in early phase trials, and we have been involved in the development of all the currently available major anti-diabetic compounds. Our key competence is the performance of glucose clamp studies, often combined with isotope dilution techniques and muscle or fat biopsies. Profil is a full-service CRO certified according to ISO 9001:2015 and ISO 13485:2016. We can boast a vast patient database, with over 30,000 people, a dedicated regulatory department, a fully GMP-certified pharmacy and two in-house clinics: Profil Neuss and Profil Mainz. Between them, those clinics have over 80 beds, allowing us the capacity to reliably perform clinical studies within agreed timelines. In addition to excellent facilities, we provide a unique combination of regulatory and scientific expertise to support clinical trial goals. Our team has over 400 members, including 25 physicians and 2 people with master’s degrees in drug regulatory affairs, and our scientific experts are internationally renowned for their contributions in the fields of diabetes, pharmacology, obesity, prediabetes, cardiology, nutrition, and medical technology. This team has to its name over 360 peer-reviewed publications and a significant presence at international diabetes-focused conferences. Partnership with Profil also means access to our unrivalled portfolio of state-of-the-art experimental methods. Our experts stand ready to optimize the design of a study and select the right combination of research methods to deliver the answers needed for the further development of a compound. With a focus on early phase studies, we pride ourselves on aiding our clients to design the very best clinical trials: optimum participant groups and test environments, best-fit methods, and support for analyses and dissemination of results. We have experience with testing all classes of new and modified anti-diabetic drugs with regard to their pharmacodynamic and pharmacokinetic effects using methods such as glucose clamp, isotope dilution techniques, and muscle or fat biopsies. Safety and tolerability studies for novel compounds are a core expertise for Profil, making us an ideal partner for first-in-man studies and single or multiple ascending dose studies focused on diabetes or obesity treatment. We’ve performed numerous bioequivalence trials with different insulin formulations and can advise on optimization of study design to ensure regulatory requirements of the FDA and EMA are met. Data from clinical trials performed at Profil are used and accepted by the authorities for NDAs in Japan. Accelerate your approval process in Japan considerably (from an average of 56 to 32 months) by doing your bridging study with us. We have Japanese staff members to run these studies and our database has 300 Japanese volunteers and can easily be extended. We’re experienced in all aspects of medical technology in the area of diabetes and obesity. We played a leading role in the development of the artificial pancreas and we have a dedicated team for medical device projects. Profil is ISO 13485 certified and has substantial regulatory experience in medical technology trials. Read on to discover more about Profil services and our expertise in diabetes and obesity research. Or else, discover the company behind the name Profil by following the links below. Discover why Profil believes in patient-initiated research. Meet representatives of Profil Germany at conferences worldwide. Read the latest from Profil’s expert scientists and find out about our upcoming events. Learn how Profil works towards a faster pace of innovation in diabetes and obesity treatment.